Vintage Inspired Apron Pattern by Vanilla House Designs. 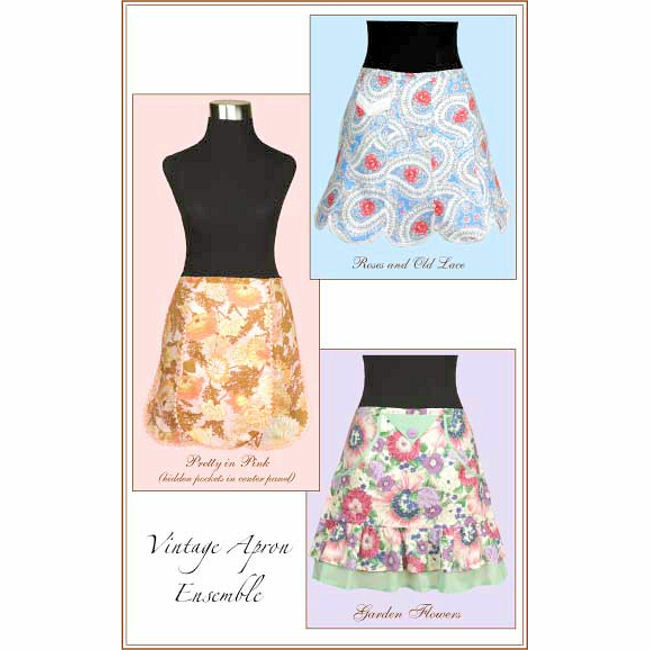 The Vintage Apron Ensemble Sewing Pattern from Vanilla House Designs features 3 vintage inspired aprons, including Pretty in Pink, Roses and Old Lace, and Garden Flowers. Suggested fabrics include voile, lawn, or other very lightweight fabrics. Pattern size is One Size Fits Most. Vanilla House patterns use a length x width cutting style technique - rotary cutting tools are recommended. Diagrams and complete instructions included. Designed by Barbara Brunson.